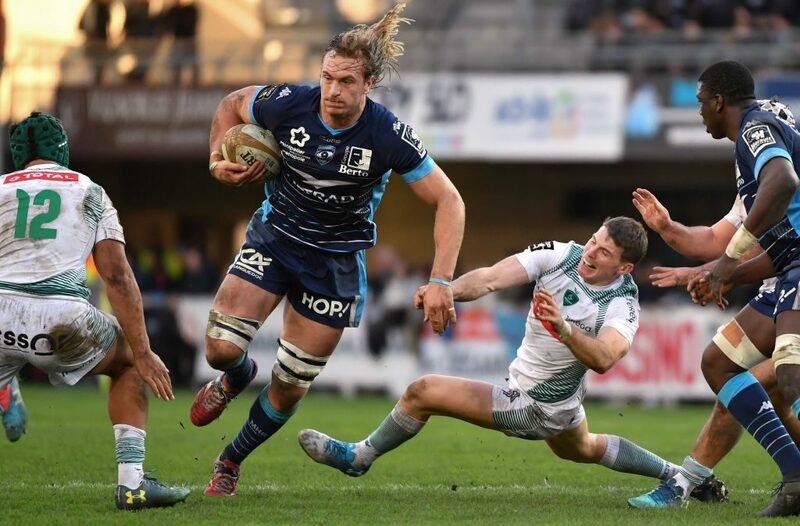 Jacques du Plessis scored twice to help Montpellier beat Pau 41-13, while there were also French Top 14 wins for Lyon, Stade Français, La Rochelle, Bordeaux and Toulouse. An initially tight match was decided in the second half, with Du Plessis going over twice after tries from countryman Paul Willemse and Fijian wing Nemani Nadolo. 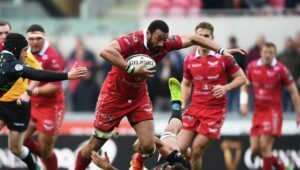 The first half was a shootout between Montpellier scrumhalf Benoit Paillaugue and Pau flyhalf Colin Slade, who slotted a penalty to give his side an initial lead before Paillaugue kicked two penalties of his own to put the hosts ahead. The opening try of the match came on the half-hour mark as Montpellier’s Timoci Nagusa beat several defenders in a 40m sprint to give them a 13-6 lead at the break. 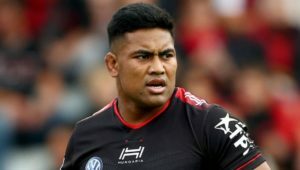 Montpellier extended their lead minutes into the second half, as Nagusa again managed to get free and offloaded to fellow Fijian Nadolo for the second try of the match. A quick tap penalty then brought Montpellier close to the line, before lock Willemse powered over for their third. Du Plessis then got in on the act, going over from a maul for his first, before showing a good leg drive to fall over the line just before full-time to complete a fine win for Vern Cotter’s side. In other results, Clermont beat Perpignan 37-16 to ensure that they will finish the year in first place, La Rochelle temporarily climbed above Toulouse into second place by thrashing Castres 53-27, Lyon were equally dominant as they hammered Agen 52-20 and Stade Français fought to a 23-20 victory over Grenoble. On Sunday, Bordeaux punished a 14-man Racing 92 side 40-7, while Toulouse put in a powerhouse performance to thrash Toulon 39-0. 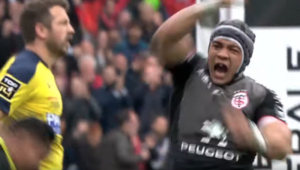 Wing Cheslin Kolbe scored the last of Toulouse’s five tries for a bonus-point win that took them back into second place.